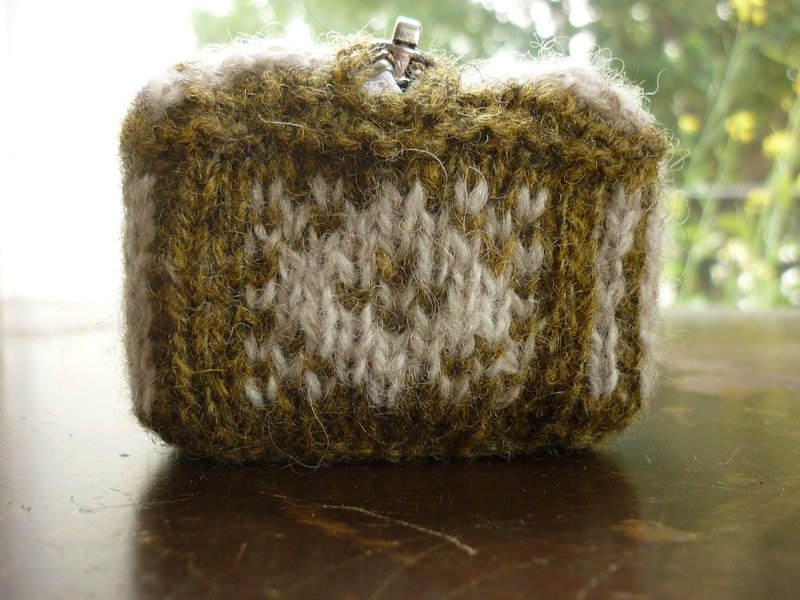 Now here is an object that has yet to make its way into the FutureMuseum collection: a knitted pencil case. The pattern combines elements of typical Sanquhar designs. I made this pencil case for my partner who’s about to graduate and I hope he will make good use of it when he goes on to do a Masters in Modern History. Needless to say, it was knitted in my favourite yarn: Shetland spindrift. The green is called Bracken and the cream is actually a marled yarn in mooskit and white. The pencil case was knitted in the round using the magic loop technique and is completely seamless, although I did need to graft the bottom closed. I knitted with the cream in my left hand and the green in the right. As my left-hand tension differs from my right-hand tension, single green stitches don’t stand out. I suspect that swapping the carrying hands will make a difference, so that’s something I will investigate and report on. 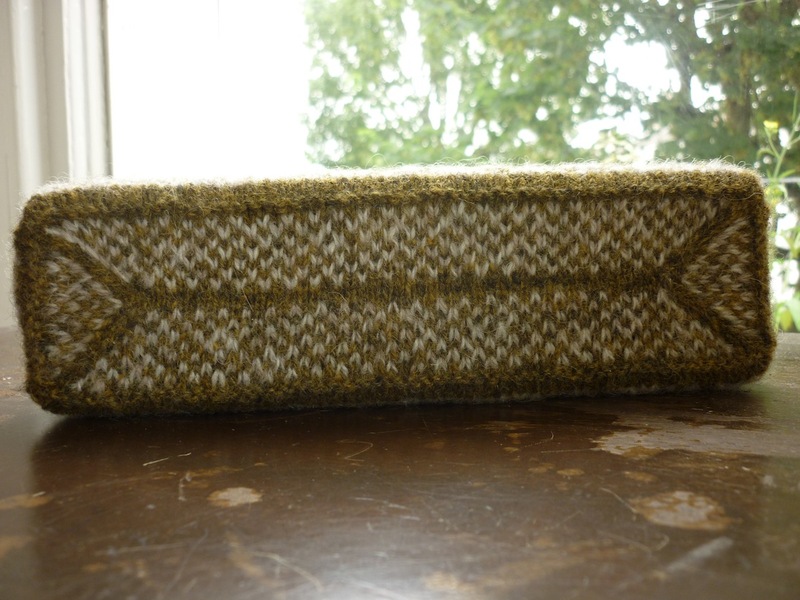 Blog post update (10/04/2012): I’m pleased to let you know that this pencil case is now available as a downloadable pattern from the Prick Your Finger webshop.